We are committed to nurturing both our community and artisans, with our Ubud Design Studio and Workshop serving as a central hub. We support artisans—women, men, and whole families—through our “Jobs For Life” program, which ensures the unique jewelry making tradition is passed on for generations and apprentices will one day become masters. 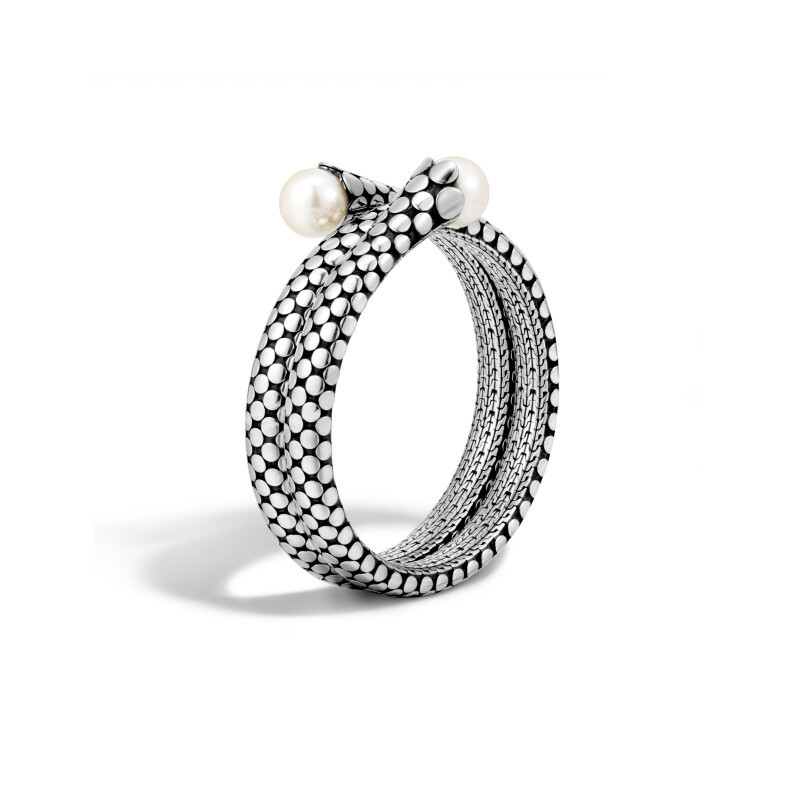 John Hardy is dedicated to sustainable luxury business practices. We strive to use 100% reclaimed Silver and Gold in the creation of our jewelry. Our Diamonds are sourced strictly following the United Nations resolution and the Kimberley Process. Our Gemstones and other Natural Materials are sourced following John Hardy’s Ethical Sourcing Code of Conduct. We are committed to our work preserving the natural landscape of Bali. For each purchase from the Bamboo Collection, we plant a select number of bamboo seedlings. We planted over 1 million bamboo seedlings to date as part of our “Wear Bamboo, Plant Bamboo” initiative, ensuring that John Hardy and our clients continue to give back to our community, protect the environment, and build a sustainable future together.